…And I don’t say that in a TOO negative light, for it does a fantastic job showing how Tekkadan reacts to lives lost, even if they were characters we had no first name familiarity with. Unlike their time at CGS, Tekkadan must now deal with something I doubt they ever were allowed to deal with: a long downtime for reflection. A place like CGS is not exactly conducive to such given a propensity to go from job to job, but Tekkadan doesn’t have that lifestyle anymore. Worse, since they’re (and characters like Turbine and Merribit emphasize this liberally) still kids; they don’t know how to handle their emotions. So we have Orga uncertain about how to handle funeral arrangements since he’d rather focus on life instead of death, Shino lamenting his survival as leader of the ship infiltrators, and Mika trying in his own stoic way to combat Kudel’s last words. 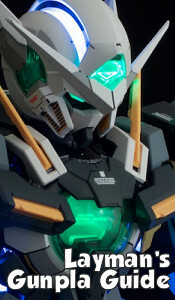 It makes for a good watershed moment as from the look of things this is the point of no return, what with them slowly inching towards Earth, and a big machination from Nobliss with regards to his plans for Kudelia. They're going to have to deal with more of those feelings in the near future, and they're lucky they were able to have a nice funeral for them this time. They may not get that later, so they better take what they can get out of that moment or crash hard when it gets worse. There’s also a lot going on here with regards to the ladies of the show. There’s a nice juxtaposition between two seemingly unrelated parties: Almiria and Atra. At a hoity-toity party that Gaelio and Macky are attending, Almiria is taken aback by the more well-developed ladies going after her fiancée, never mind the people who disagree with her future marriage because ‘she’s barely out of diapers’. Macky is a guy that’s hard to really gauge even when he eschews easy gratification to comfort her, but I take his consoling as sincere for now. He acknowledges the rather questionable nature of it, and seems to care for Almiria despite no romantic attachment on his part. Atra’s situation on the other hand is simple, but just as impactful. When one of the younger Tekkadan boys comes by crying his eyes out, Atra being Atra opens up and offers him a hug. Instead, he goes to Fumitan because of her surfeit of breasts compared to Atra’s deficit. Granted it doesn’t seem to have much of an impact on Atra, but it shows how much the lack of that kind of female figure and warmth in the lives of Tekkadan’s kids may have affected them. It’s a nice poignant scene and helps to build up to that shocker of a final scene: Mika giving Kudelia a good kiss on the lips after she gave him a hug in the hopes of letting out his bottled emotions. Did it work? Hard to tell since Mika curtly says he did it because she looked cute then resumed staring into the vastness of space. Is it a sign of their future coupling? That’s also hard to tell. 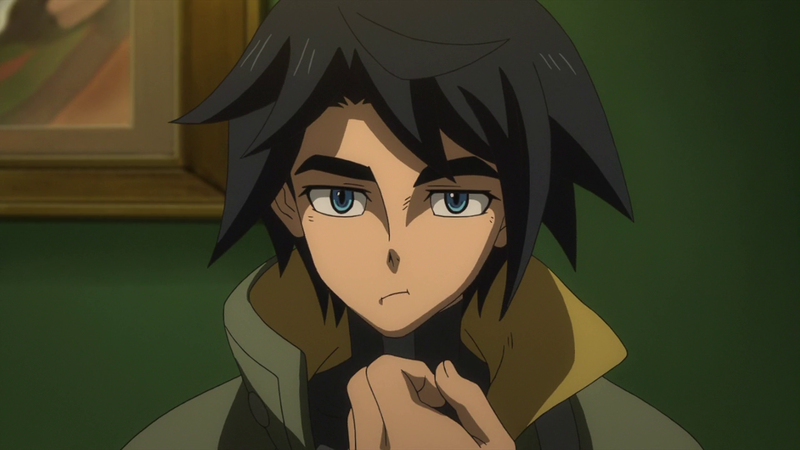 I expected that a fall out would find its origins from actions between Kudelia and Atra, but instead it’s Mika. I hope nothing falls apart too badly, since the friendship between those two girls are such a highlight in the show. It’d be a shame to lose it. Dammit, Mika. Would complain again about them taking their sweet time getting to Earth, but then I find out there’s colonies in this universe as well. Looking forward to seeing what they’re like. Tekkadan has another Gundam onboard. Akihiro’s piloting the Gusion and now we get a Gundam team going! So who’s piloting the old Graze then?